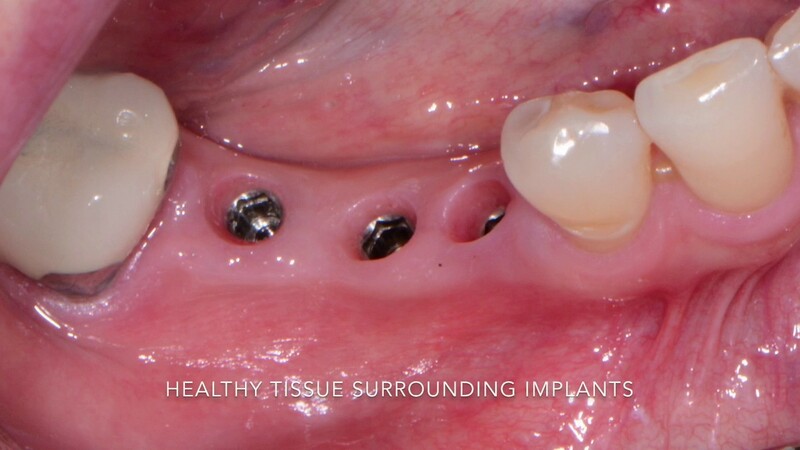 Dr. Ara Nazarian achieves the perfect implant placement for each patient by using 3D imaging and surgical guides. Whether you lost one tooth or an entire arch, you can trust our dental implant dentist for the best results. Given proper care, your dental implants should last for decades. Call today to request a consultation with our dental implant dentist in Troy, MI. Up until just a few years ago, implant dentistry diagnostics and treatment planning used conventional x-rays and panographs for assessing bone and tissue quantity and quality, along with basic 2D technical data used for determining where each implant would be placed. Conventional x-rays, however, oftentimes failed to reveal certain tissue conditions that could contribute to or directly cause an unwanted tooth implant failure. These “conditions” wouldn’t be revealed until dental implant surgery actually began. These normal events of “undiscovered diagnostic data” were routinely blamed for sudden changes in treatment planning or, in other cases, where seemingly successful dental implants failed after treatment was completed. In our office, and many of Dr. Nazarian’s training seminars, the Carestream 81003D Scanner is used to fully assess all bone and soft tissue within the oral cavity. The ability to rotate and view all tissue from all possible perspectives assures that ALL tissues are assessed accurately, regardless of how hidden they may be. Yesterday’s free-hand dental implant placements depended primarily upon what could be seen or evaluated with old-fashioned x-rays…which can routinely generate treatment errors. Dr. Nazarian’s use of 3D imaging reveals all tissue characteristics and, when used in conjunction with specialized scanning software, enables the patient and Dr. Nazarian to develop the ideal surgery protocols for placing a single tooth implant, several implants, or an entire arch of teeth. A patient’s entire dental implant surgery protocol is planned and visualized before treatment even begins. 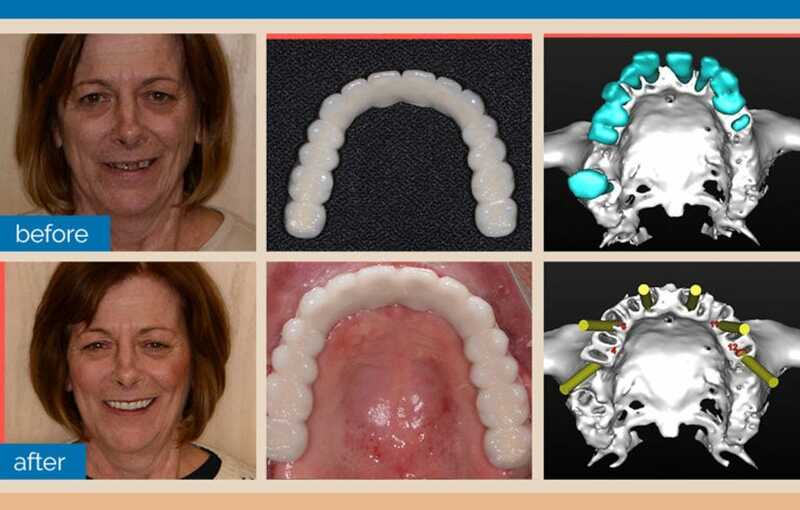 The 3D scanning software is used to create special surgical templates for preparing bone tissue (where it needs to be trimmed or revised) and for creating a surgical guide that assures each and every implant is placed at a precision location with a precise depth, width, and centering within the jawbone. Errors are virtually eliminated. Each and every tooth implant is selected and placed based on the technical data provided by the scan. Different dental implant types, widths, and lengths are individually selected for each location. The concept of one-dental-implant-fits-all no longer exists. 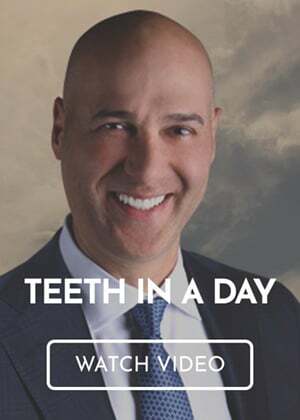 Virtualization of dentistry, once viewed by the patient, is very easy to understand for making decisions about treatment options (there are usually several to select from) that Dr. Nazarian discusses with each patient. Not sure if you should choose dentures or dental implants? 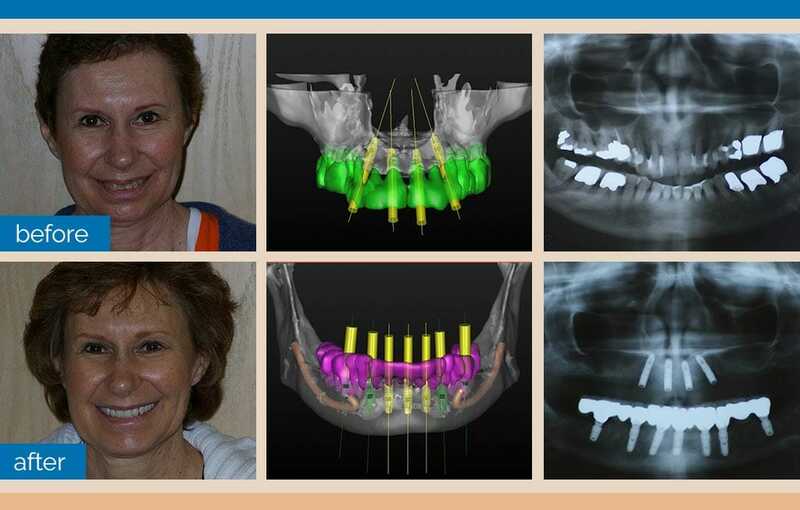 We use 3D imaging to help you imagine what you’d look like with dentures versus dental implants. With this information, you’re able to make the best use of your treatment dollars. Dr. Nazarian offers the dental implant procedure to help patients smile with confidence after tooth loss. To request an appointment with our dental implant dentist in Troy, MI, call the Premier Dental Center at (248) 457-0500.